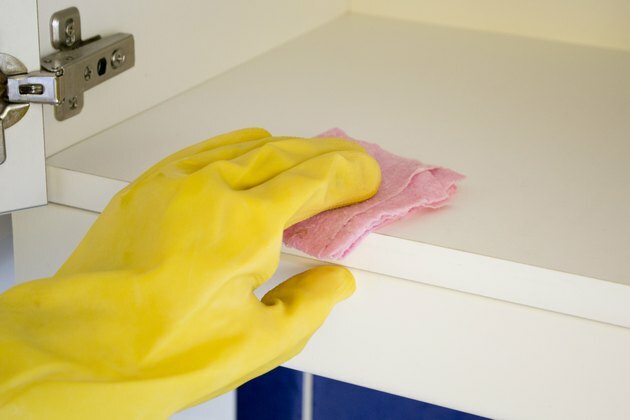 Grease sticks to kitchen cabinets from airborne particles released by cooking and from spills. Built-up grease stinks and gives a slimy feel to the cabinet. Use vinegar and baking soda to remove the grease. The vinegar and baking soda also absorb the odor from the grease. 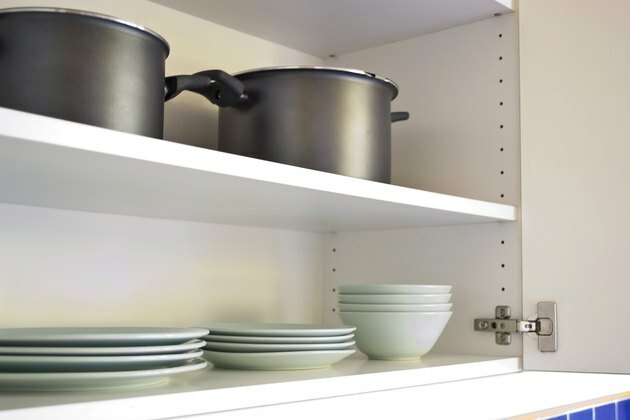 Clean cabinets at least once a month, more frequently if they are white. Grease ranges in color from off-white to brown. Grease comes mainly from cooking meat, but also results from the cooking of butter, oil and other fatty foods. 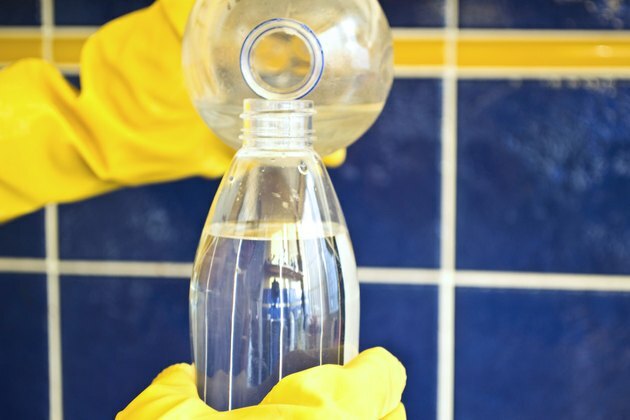 Pour vinegar into the spray bottle. Put on the gloves to keep your hands clean. 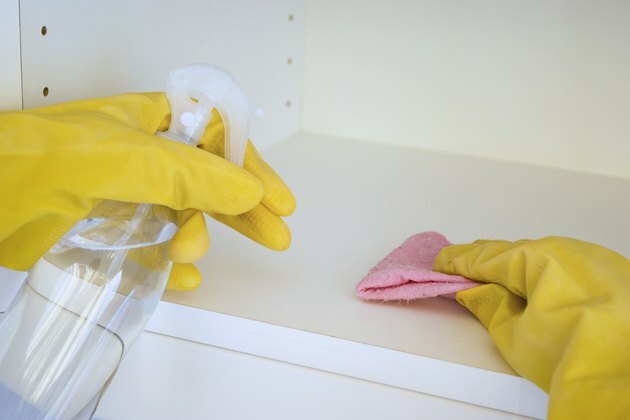 Spray the cabinet with vinegar. Wipe it off to remove all the dirt and some grease. Wet the rag or paper towels. Sprinkle baking soda on the rag. 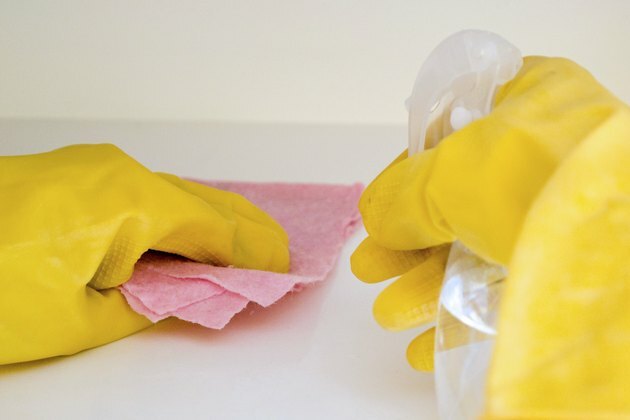 Scrub the grease spots with the baking soda on the rag. 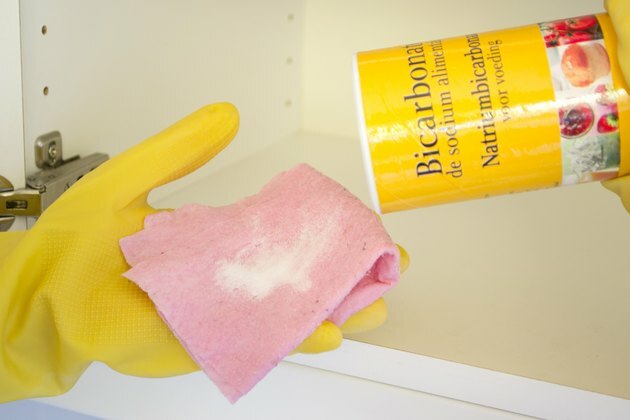 The baking soda is abrasive enough to cut through the grease without scratching the cabinet surface. Spray with vinegar and wipe down again. Wipe the cabinet down with water. What Causes Flecks of Grease in Laundry From Washing Machine?